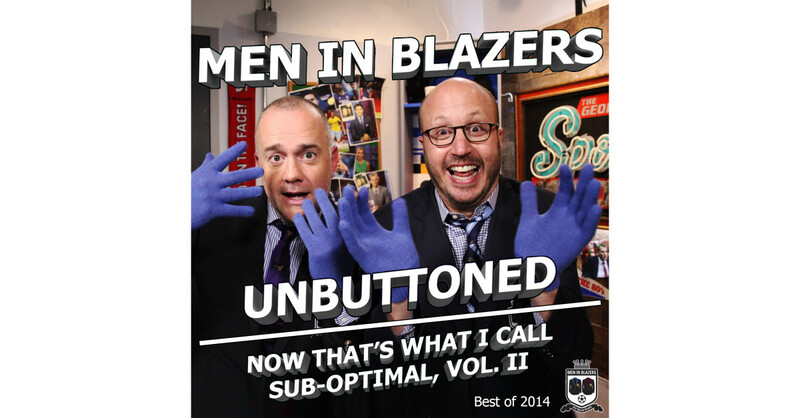 Men in Blazers Unbuttoned: Now That’s What I Call Sub-Optimal, Vol. II (The Best of 2014) is now available on iTunes. 2014. It was the epoch of suboptimal soccer, it was the epoch of never-ending narrative. It was the year ‪#‎Liverpool‬ nearly won the league. And the ‪#‎USMNT‬nearly, nearly, nearly won the World Cup. From the Crap Part of SoHo to Copacabana Beach, this is a collection of our most suboptimal moments from Pods, interviews, and live shows. Relive them now, and then have a ‪#‎SadNap‬.